Using OSHA as a front to trick employers has been a ploy scam artists have used in the past. For example, on June 5, 2016 , the Federal Trade Commission charged a Florida man and his company with deceiving employers to the tune of approximately $1.3M by pretending to be an OSHA representative, and threatening to shut down small businesses and/or fine them unless they purchased from him OSHA and other regulatory posters for their workplaces. Using names that sounded like the Occupational Safety and Health Administration, such as “Occupational Safety and Compliance Administration,” “US Corporate Compliance Office” and “Occupational Compliance and Safety Administration,” the man would tell the businesses that they are not complying with federal law and that the government upon inspection will shut down or fine the business unless the owner immediately purchases regulatory posters costing approx. $200 each. After paying for the posters, victims of the scam discovered that they were dealing with a company – not the government, and that OSHA provides the same regulatory posters for free. Employers that called the company for refunds would only reach voicemail and their calls were never returned. A temporary restraining order has been entered by a Judge in the U.S. District Court for the Middle District of Florida while the FTC seeks to recover refunds for victims of the scam. 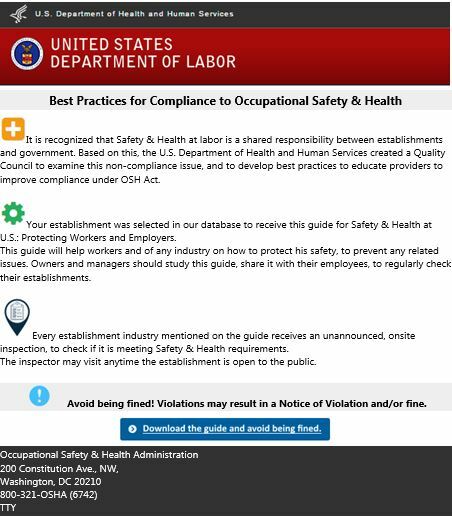 If an employer receives an email requesting money or threatening an inspection, do not click on any links, and immediately contact your local OSHA area office to validate the authenticity of the email. If an employer receives a phone call from a supposed inspector requesting money or threatening an inspection, ask this person for their name and identifying credential number, and call your local area office to verify whether the individual is a representative of OSHA and has business with your company. If an employer receives a visit from a person representing that he is at the worksite on behalf of OSHA to conduct an on-site inspection, ask for his credentials, get a photocopy of the person’s business card, and call the local area office to confirm their identity and purpose of the visit. If the person refuses these requests, call the police. Do not write a check or give money to any person claiming to be an OSHA Officer or Inspector under any circumstances. Certified Health & Safety Officers do not collect fines for OSHA. If the “inspector” insists, call the police for assistance. 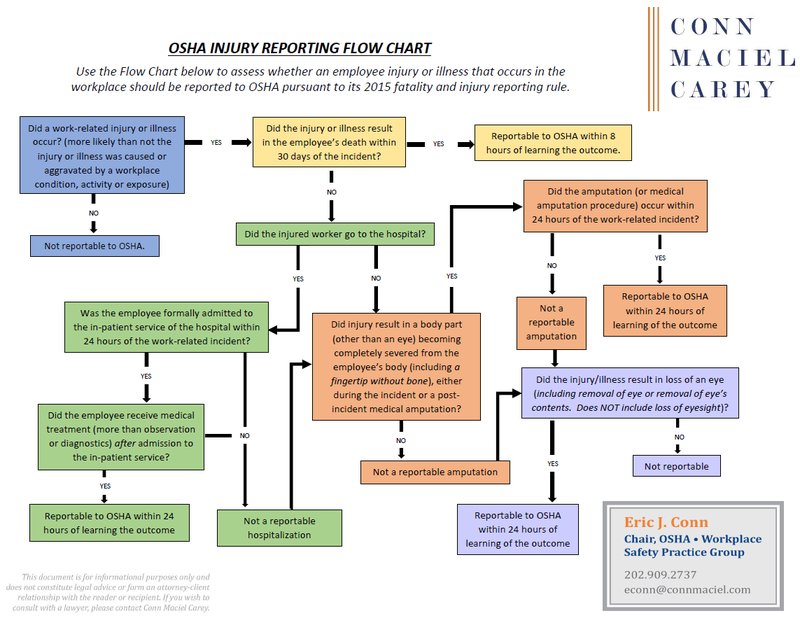 If you have any doubts about the substance of an email or a phone call from what appears to be OSHA or the veracity of an inspector at your worksite, call your nearest local OSHA area office to verify the content of the communication. Important Warning from the OSHA Defense Report.